Where is the Control Panel Mail icon? The first step to fix a profile is to open the profile outside of Outlook. To do this, you need to "open Control Panel, Mail" but Windows hides the Mail icon in a Control panel group and many users can’t find it. For this reason, we recommend users open the Control Panel and type Mail in the search field, or switch to classic or Icon view. Note: if you use a 32-bit version of Outlook 2010 or 2013 on 64-bit version of Windows, the Mail icon is labeled "Mail (32-bit)". In Outlook 2013 and Outlook 2016, the Outlook version is added to the applet name, using this format: "Mail (Microsoft Outlook 2016) (32-bit)". Right click on the Start button and choose Control Panel. 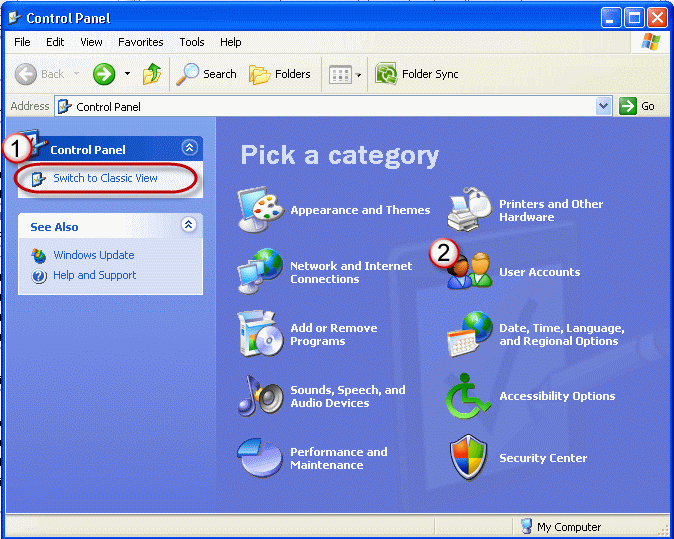 Either change the view to large or small icons (1) and look for the Mail applet or type mail in the search field (2) and let Windows find it. Double click on Mail to open it. When you are using the classic desktop, press the Windows keys then type "mail" in the search field. Select Settings (under the search field) then click on Mail. On a touch screen, slide your finger along the side to bring up the Charms, select the search charm and type mail in the Search field. Select Settings (under the search field) then click on Mail. 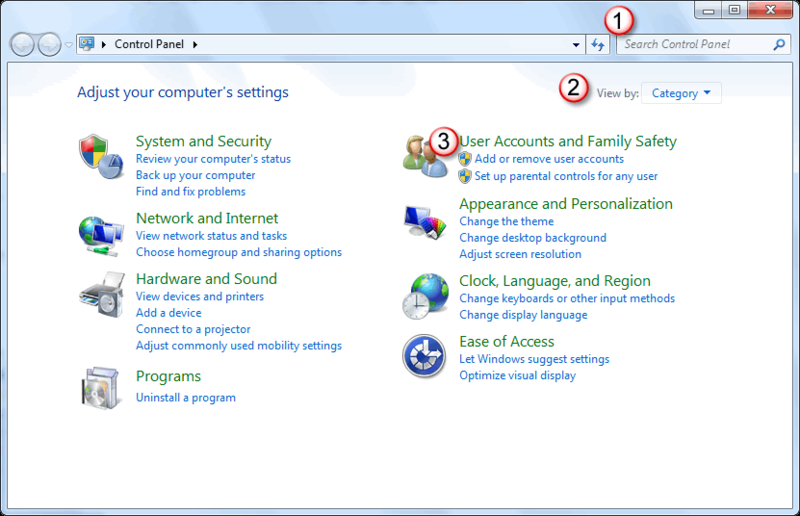 You can also type Control panel in the search field to bring up the Control panel, which looks very much like Windows 7. Windows 8.1 with all updates installed has the control panel on the right click context menu. As seen in the Windows 10 screenshot above, simply right-click on the Start button and choose Control panel to open it. My preference is using Search, in part because it works in all Windows versions. I can type Mail in the Start menu’s search field and if it’s not listed in the results on the Windows Start menu, I can click on the Control panel heading to find it. 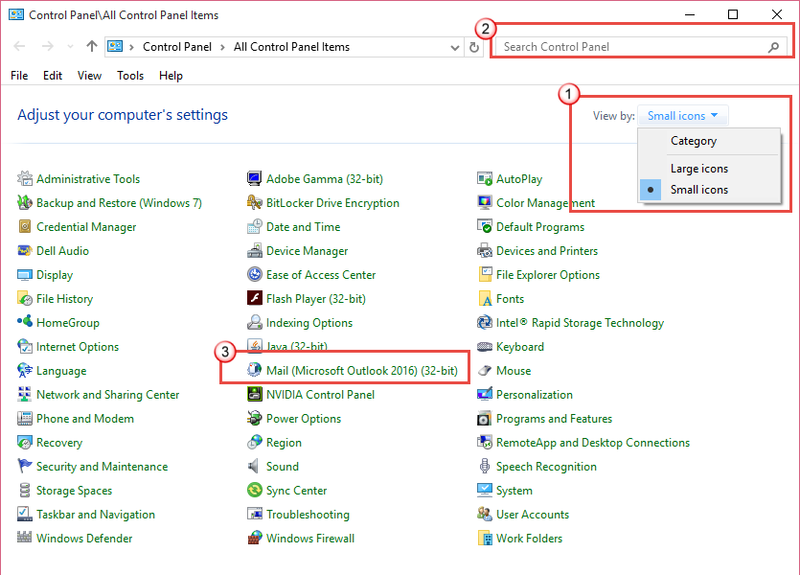 Note: When you type Mail in the Start menu’s search field, if the Mail applet doesn’t come up, click the Control Panel heading to restrict the search to the Control panel. After double clicking on the Mail applet, you'll see the following dialog. The Data file button is used to change the Personal File (*.pst) that you use with your account or to add additional pst files. Use Show profiles to create additional profiles, or to manage multiple profiles. When you choose Show profiles, you'll see the following dialog. From here you can add, edit or delete profiles (1). If you use multiple profiles you can configure Outlook to let you choose which profile you want loaded (2). If you suspect your profile is corrupt or damaged or are told to make a new profile to see if your problems is fixed, do not Copy a profile. This will copy the problems to the new profile. Use Add and create a brand new profile. If you just need to make a second copy of a profile for some other reason, you can use Copy. 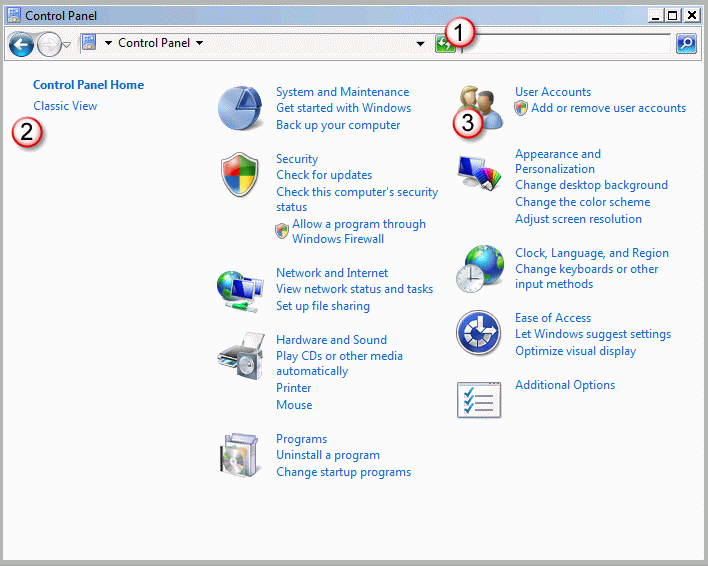 In Vista, you can either search for Mail on the Start menu, as you can in Windows 7, or open the Control Panel and use the Search box, look under the User Accounts category or switch to the Classic view.